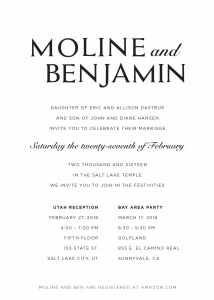 Work with the experienced printers that focus on weddings to get the most value for your money. 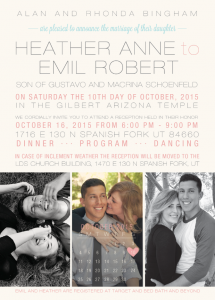 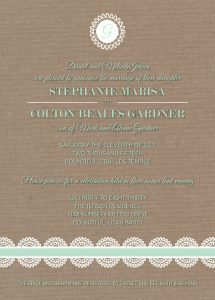 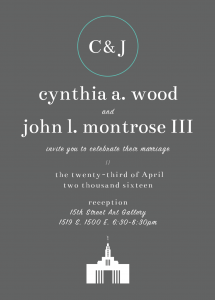 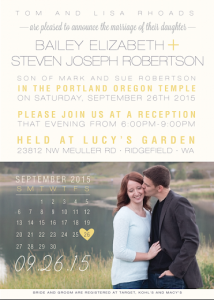 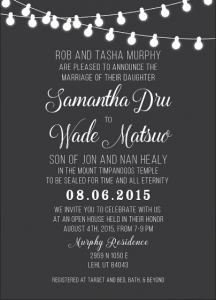 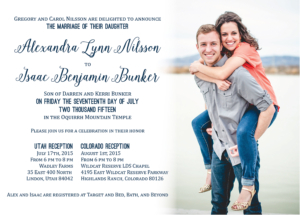 Wedding announcement printing is the focus of our printing business. 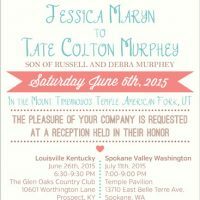 We work with thousands of brides to get their invitations perfect. 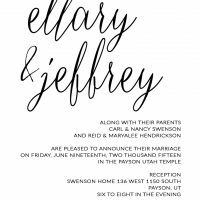 We have experience with the latest designs that you’ll love, and want to ensure that you are 100% satisfied with your gorgeous invitations. 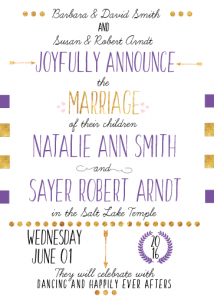 Salt Lake City is growing, and thousands of brides are getting married here each year. 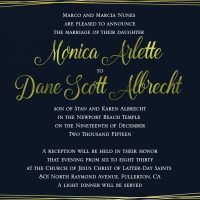 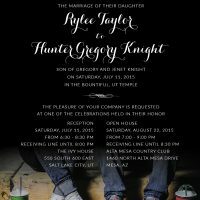 The Invitation Maker is here to help each of those couples express their unique style with stunning invitations to announce their upcoming wedding. 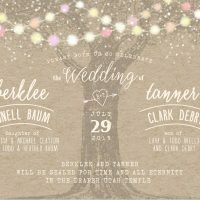 Whether you are tying the knot at Log Haven, Park City Ski Resort, or in your backyard, we have the right style to match your event. 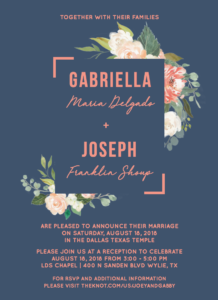 We cater to bridal styles ranging from modern, casual, or rustic to elegant, traditional styles that look like they could have come from any era in the past. 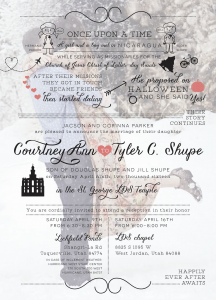 What’s your wedding style? 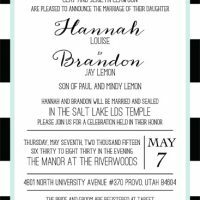 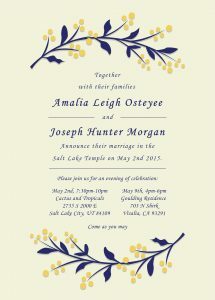 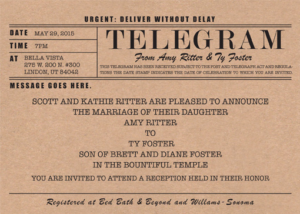 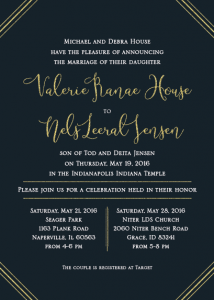 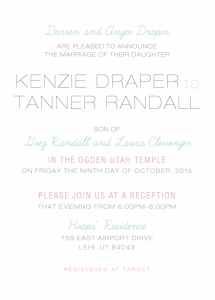 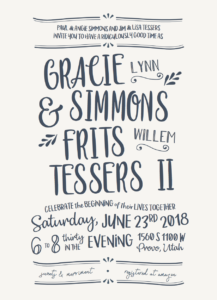 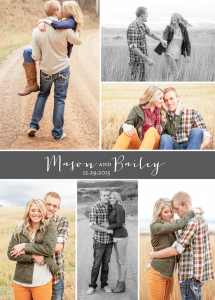 Get with one of our designers today to get it down on paper and start on your way to the most affordable quality wedding invites in the Salt Lake Valley. 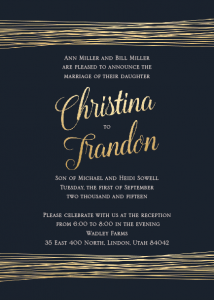 What kind of quality can you expect from The Invitation Maker? 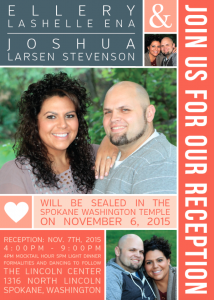 Our standard invites include full color, 130 lb. 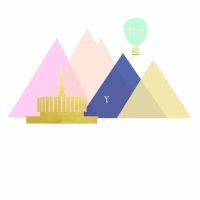 16-pt. 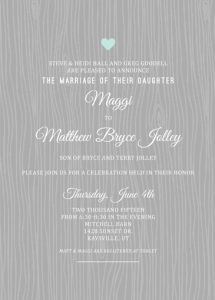 dull matte finish card stock that is leagues ahead of the standard paper from other printers. 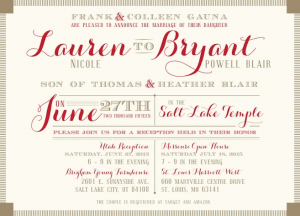 Standard orders are printed on 5 x 7 card stock and include free white or cream envelopes. 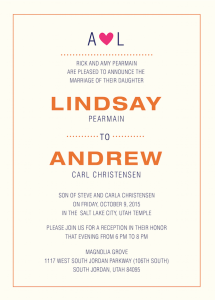 Free standard shipping is also included. 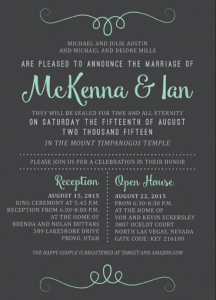 These are our standards, you can upgrade paper, envelopes, and shipping if you desire. 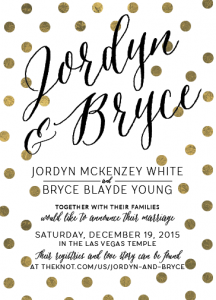 Ask about upgraded pricing if you are interested in pearl metallic paper, foil printing, expedited shipping, to/from address printing, save the dates, RSVP cards, RSVP magnets, etc. 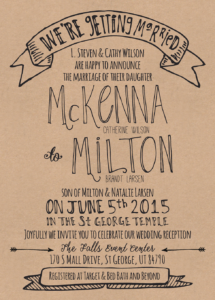 The Invitation Maker offers stellar defaults plus premium options to meet your needs.